It's been a while since I've posted, but I haven't been idle. 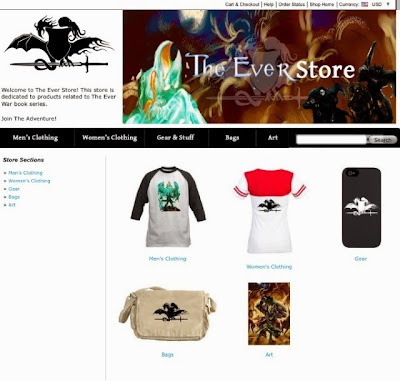 I'm happy to announce the arrival of The Ever Store on Cafepress. There are a number of items available including shirts, posters and iPhone cases. I've also updated the iTunes bookstore link so people can jump there from the main site again. More designs will be released in the future. Come by and visit!